Lacquer Lockdown: Hot Off The Stamping Press: MoYou London Festive Collection Easter Expansion! 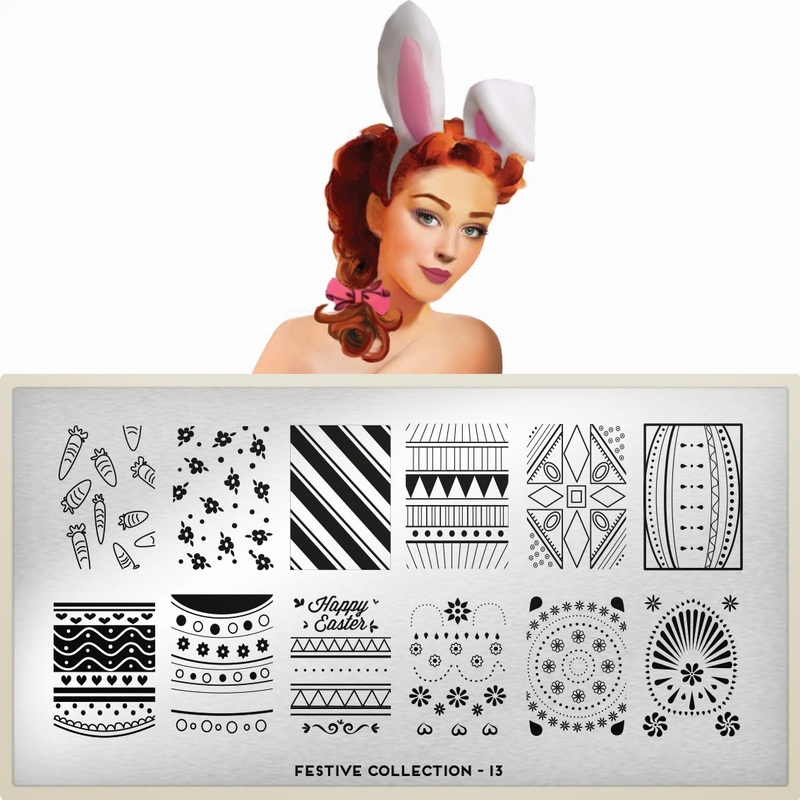 Hot Off The Stamping Press: MoYou London Festive Collection Easter Expansion! MoYou has done this a lot lately; creating small plate filled with characterizations of whatever the theme is of the plate. This time for me it's working well. 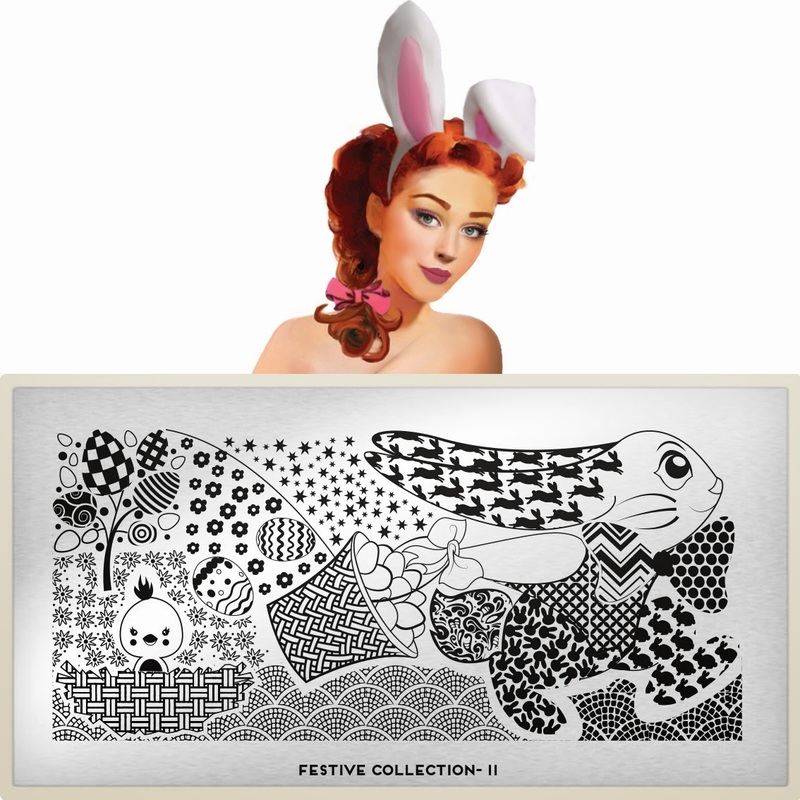 My eyes are especially drawn to the stylized scribbled carrot, the basket, and the bow topped easter egg. This plate is absolutely adorable and spot on! 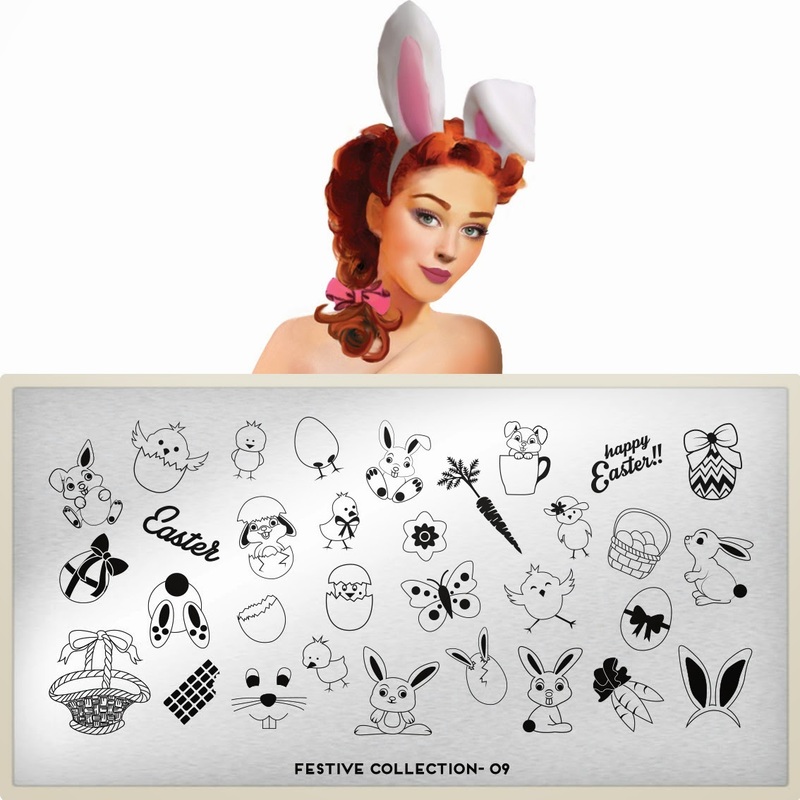 Even more stylized images, the flowers are kinda blah, but I love the squiggidy bunny squealing on the right, and the bells and other elements here. 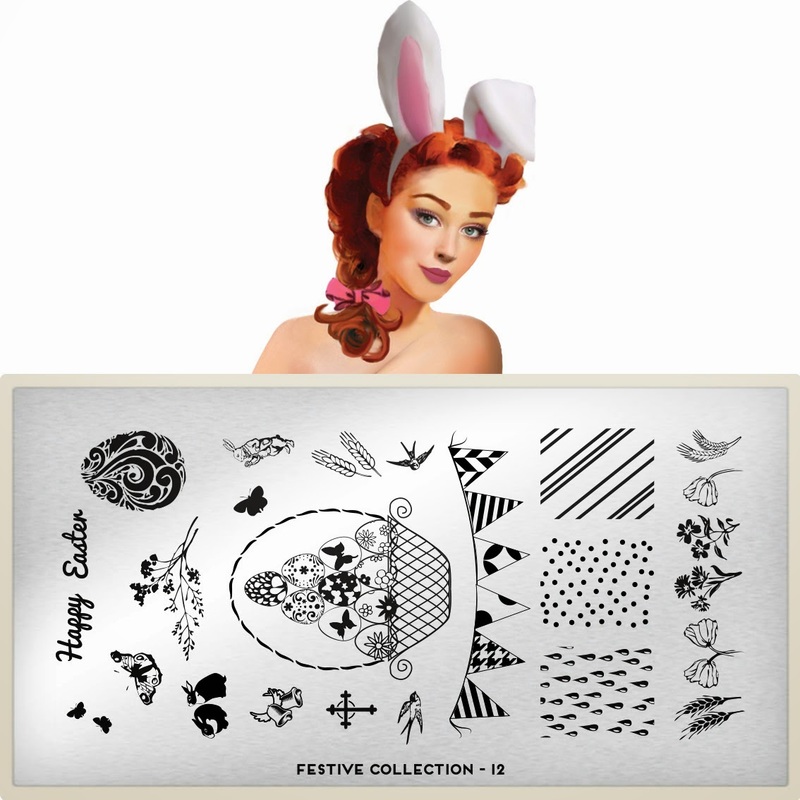 Easter tribal! Nothing here to say except yes! More tribal! I am mad because this plate has images that are not on the XL version therefore I must have it as well. Particularly because of that Faberge looking egg in the corner and the smaller Happy Easter stamp. Ohh nice! I actually haven't gotten any of the greek plates though I want them desperately. Instead I got a few plates that were on my wishlist for a while + the new easter ones because they were too perfect.